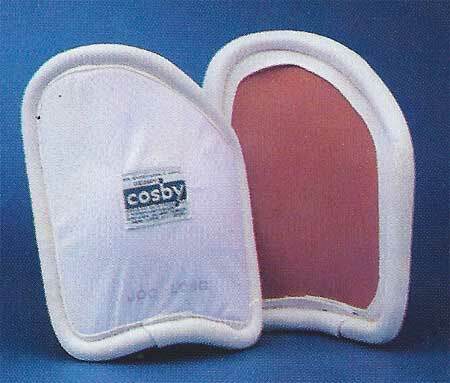 The most protective thigh guard ever designed and manufactured in football gear. The outside is podded with 1/8″ rubber and covered with white nylon mesh. Inside is Red Belgian Rubber suspended from shell by a 3″ wide piece of surgical elastic. Extremely light in weight. Available in junior, senior, long and extra long.